LTD is run by private insurance companies while SSI is a program of the Social Security Administration. Employers usually provide LTD to their workers while SSI is a privilege of individuals living and working in the U.S.
Workers have an option to buy their own LTD insurance while SSI benefits are only given to those who are eligible to receive it. If you are suffering from a debilitating injury and your insurance company is delaying your long-term disability benefits, a lawyer may possibly represent you. 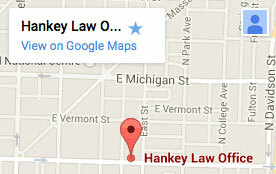 Find out how the Indiana lawyers of Hankey Law Office may help you pressure irresponsible insurance firms into releasing your much needed benefits today by calling (800) 520-3633.